For anyone who's seen the ads and are curious to see this amazing machine in action, we've got just the event for you! 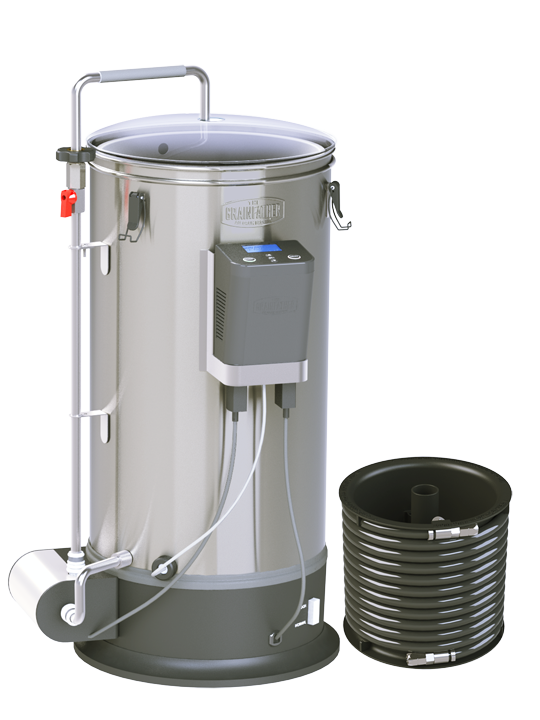 Join Jason Carlson as he demonstrates the capabilities of this innovative brewing system that mashes, recirculates, lauters, and boils without needing more space than a small closet! If you're daunted by the juggling act a 3-tier, all-grain system requires, come check out the Grainfather! Grab a seat while you can! This is a once-in-a-blue-moon class! This class will be held from 12pm to 4:30pm at Home Brew Mart (5401 Linda Vista Road, Suite 406, SD 92110). The cost of the class is $20 and will be limited to 12 attendees. A non-refundable reservation is required. Purchase the class online to make a reservation, or register in person at Home Brew Mart. All class participants will receive three tasters at the bar and a 10% discount on any purchases made on the day of the class only.